Do you teach and love rap? According to Nielsen SoundScan, hip hop became the #1 genre in the USA, dethroning Rock n' Roll after a 60 year reign. How should the Jewish innovative sector respond? Should cantors put the guitar and down and learn to rock a mic? 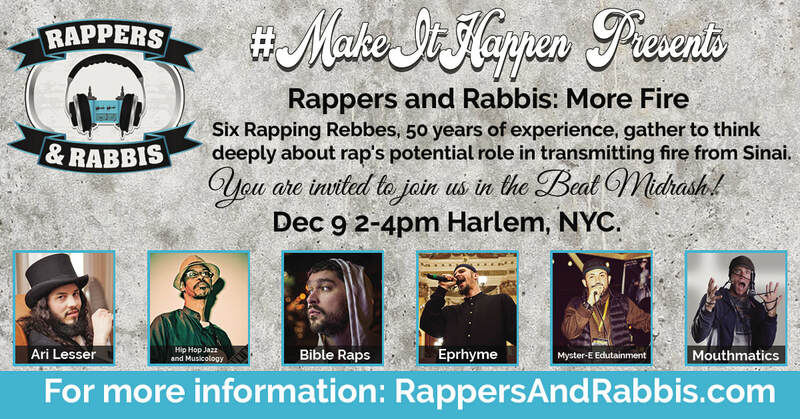 Join 6 Rapping Rebbes, with 50+ years of using rap to teach for a hot fire from Sinai Hanukah experience.